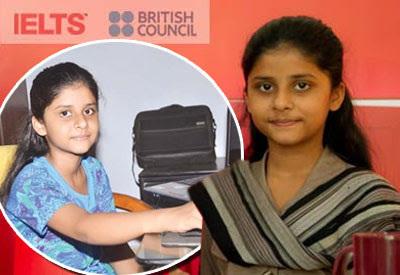 Rabwah – Sitara Brooj Akbar, who had previously set the record as the world’s youngest girl to complete O level, is a new world record holder in IELTS again. Akbar received 9 bands in ILETS and set a new world record.Akbar, who hails from Rabwah (Chanab Nagar), in the Punjab Province, became the youngest female student to have earned 9 bands in IELTS test.Akbar sat in an exam by British council UAE of English Language Test System two months ago.According to media reports, she had earned 8 bands but her result were challenged and sent back for reevaluation.After the review of her papers in the United Kingdom it was confirmed that she had actually earned 9 out of 9 bands which is a world record. Previously, according the media reports, Sitara Brooj Akbar is the female holder of both Pakistani and world records based on her passing of O Level chemistry, biology, English and mathematics between the ages of 9 and 11. Share the post "Pakistan: Ahmadi teenager from Rabwah Sitara Brooj Akbar sets another world record"